Interview with Peter Balnaves on ABC PM with Caroline Winter. 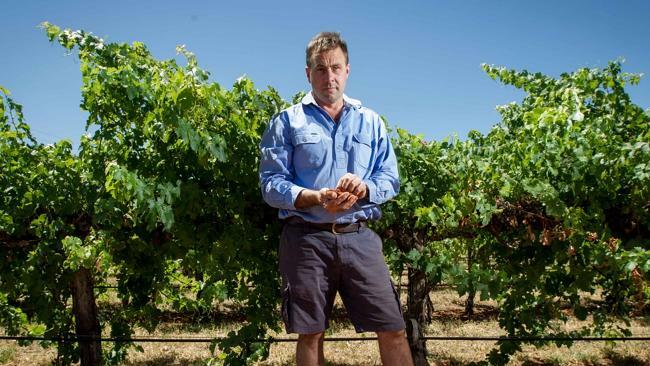 MARK COLVIN: There are warnings that one of Australia’s most prestigious wine regions could be at risk if gas exploration goes ahead in South Australia. 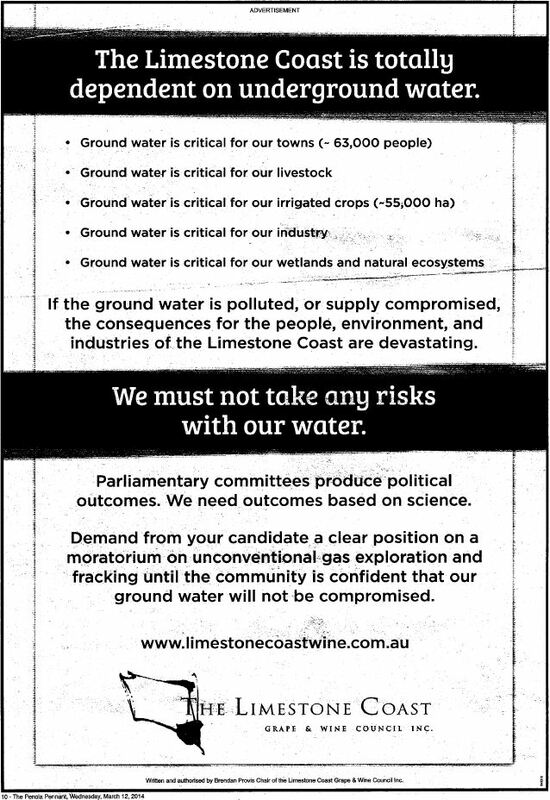 Agriculturalists in the Coonawarra are calling for a moratorium on the practice, over fears that CSG drilling could harm underground water reserves. There’s already been exploratory drilling in the region to investigate the viability of shale gas deposits. 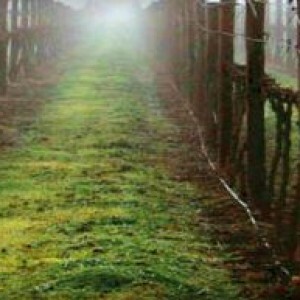 CAROLINE WINTER: Just outside the town of Penola in South Australia’s south-east is a test well. It’s one of two which is being drilled to find out more about what sits below the surface. REG NELSON: So what we hope to find is the potential for gas, whether it’s what people might call conventional or unconventional, it’s part and parcel of the process of exploration. CAROLINE WINTER: Reg Nelson is managing director of Beach Energy. The mining company has come under fire, for its exploration in the region. RED NELSON: There are myths and outright lies that are promulgated by people who have different agendas. I understand that people have concerns. We’re happy to talk to them honestly and openly to allay any concerns. CAROLINE WINTER: The uncertainty surrounding the potential for mining there has prompted a number of protests and community meetings. 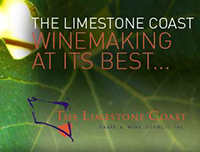 It has agriculturalists and vignerons in the nearby wine region particularly concerned. PETE BALNAVES: One of the biggest issues the area’s had to deal with. It’s got the potential to have some serious effect on a lot of industries. 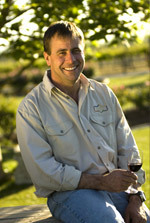 CAROLINE WINTER: Pete Balnaves is the vineyard manager from Balnaves of Coonawarra. He’s worried that if the company finds gas, it will use hydraulic fracturing, or fracking, to tap into underground reserves, threatening the groundwater and highly valued agricultural land. PETE BALNAVES: There’s known leakage between the top unconfined aquifer and the bottom aquifer, and so even taking water out of the lower aquifer could change the equilibrium. CAROLINE WINTER: Pete Balnaves says that clean water is precious, and already there’s not enough to go around, let alone support the mining industry. PETE BALNAVES: All the water that’s here at the moment is allocated. There’s only about 40-50 per cent of it that’s actually being used, and the fact that we’re taking cuts when only 40-50 per cent is being used shows you how fine the line is. CAROLINE WINTER: If it goes ahead, it would be the first time the technique has been used in an agricultural area in South Australia. Tony Beck is a specialist irrigator south of Penola. TONY BECK: At least half of my income is directly or indirectly earned from irrigation and using water resources sustainably. So I have a huge stake in protecting our water resources. CAROLINE WINTER: He says if it has to occur, gas exploration shouldn’t be on the doorsteps of highly productive food producers. TONY BECK: The likelihood of being successful in cementing the zones between the aquifers is really quite low. In other words, the risk of something bad happening and saline water being pushed from the deep, salty aquifers up into the clean aquifers is really quite high. CAROLINE WINTER: But Beach Energy’s managing director Reg Nelson disputes that, and a number of other claims. REG NELSON: We set in triple layers of steel and concrete casing to depths of 500 metres below all of the known major aquifers in the region. I call it a triple steel clad guarantee that the aquifers will not be compromised. CAROLINE WINTER: There’s also been suggestion that there’d be thousands of wells set up in the area. Is that correct? REG NELSON: Absolute rubbish. I’ve seen reports from 3,000 to 20,000 wells. They’re confusing it with coal seam gas. It is nothing, I repeat, nothing like coal seam gas. CAROLINE WINTER: He says the company is preparing to drill a second well and will spend up to a year analysing the data before any decisions are made. Pete Balnaves says there’s only one outcome he’s interested in. PETE BALNAVES: What we want and the industry standpoint is that we’re looking for, as Victoria have brought in on their side of the border, a four year moratorium on gas exploration until the correct regulatory framework can be brought into place to allow exploration or any other industry to come into the Water Allocation Plan in a controlled manner. MARK COLVIN: Coonawarra vineyard manager Pete Balnaves ending Caroline Winter’s report.